While driving down to Long Island for the weekend, Sharon heard honking behind her. She had been driving within the limits, so what was that about? 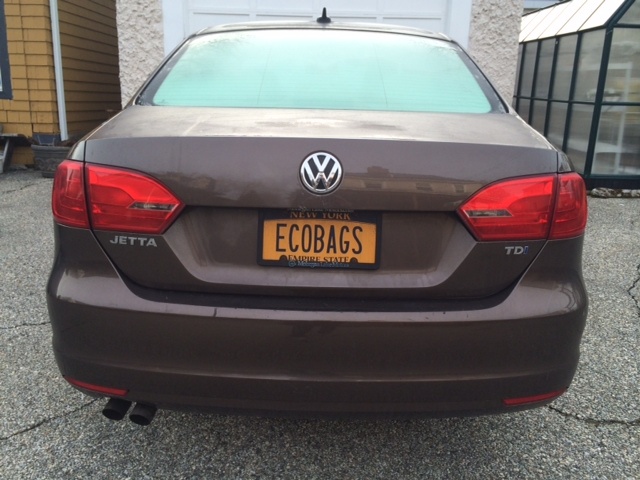 The car zoomed up to her side, and with a thumbs up, the passenger held up a black ECOBAGS® tote bag (like this! but custom printed ), smiling enthusiastically! Wow! It’s been a while since WE’VE been #Spotted! Say hello if you see us driving by!